Welcome to Irish Creek Outfitters! We're honored that you're considering us for your next hunting trip. Our focus is on providing you with quality hunts for Deer, Turkey, Pheasant/Quail, Ducks and Geese. We are less than 40 miles west of the Dwight D. Eisenhower National Airport in Wichita. We offer a variety of different outdoor experiences and cater to large and small groups. Our facilities are also ready for corporate retreats and independent group activities. 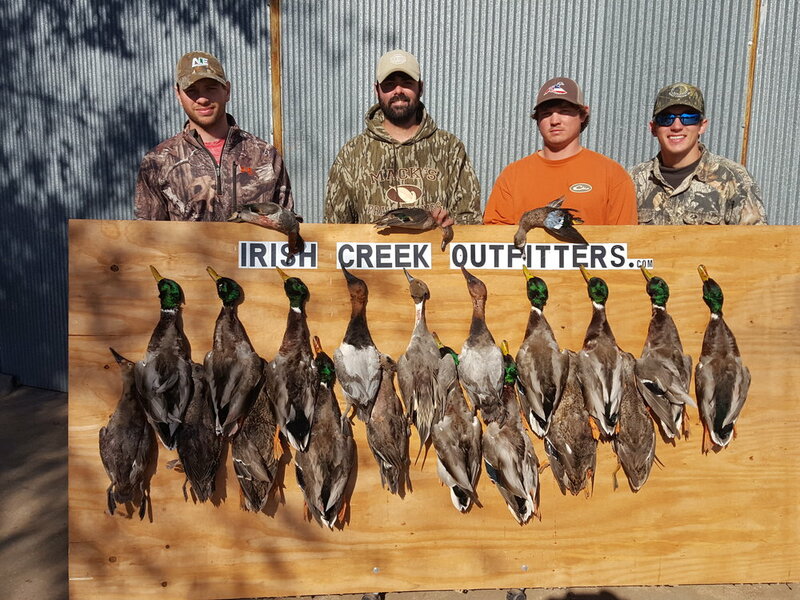 Irish Creek Outfitters has 6000 acres of privately owned land. The properties are a mix of CRP, grassland, cropland and wooded creek areas. Our lodge can accommodate up to 25 people. Contact us today to plan your next outstanding Kansas hunting experience at Irish Creek Outfitters, LLC. You won't be disappointed.